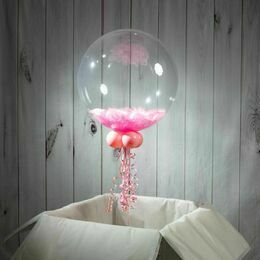 Show your Mum how much you appreciate her on Mother's Day with one of our stunning feather filled bubble balloons, with a selection of fantastic feather colours to choose from. 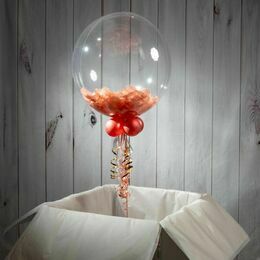 We inflate a 20" clear outer balloon and then add your chosen fluffy feathers inside. 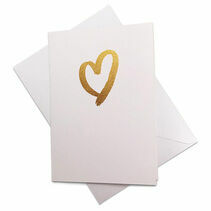 On the outside, we can add a message of your choice to make this an extra personal gift for Mum. 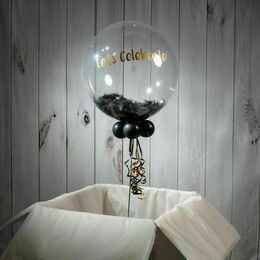 To finish, we add four smaller balloons to the base, along with colour co-ordinated ribbons and a weight. 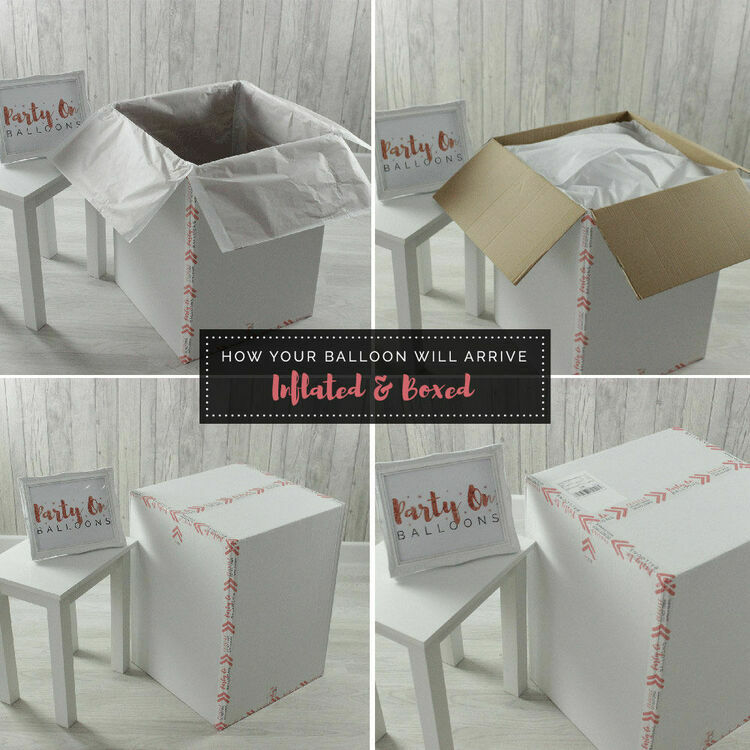 Ready to float out of the box and surprise her on Mother's Day, our balloons last between 2 - 3 weeks on average. The balloon looked beautiful and was very well presented. 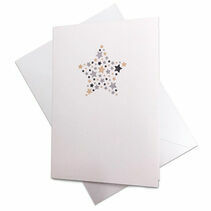 Made a wonderful personalised gift for mother’s day! Very prompt delivery and excellent customer service from the company when I made some specific requests for my order! Would definitely recommend!